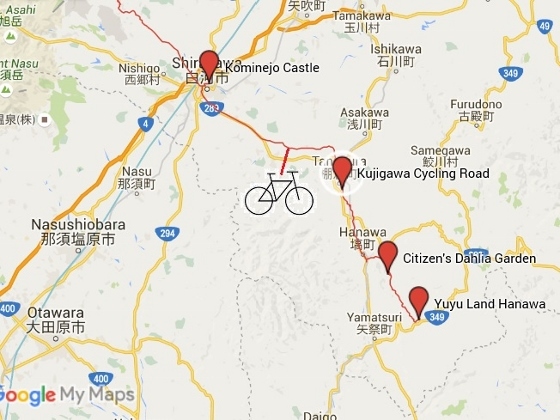 Today, I left Hatoriko-Kogen height and at first visited Kominejo Castle in Shirakawa City. Then my final goal today was Hanawa Town where Dahlia Festival was going on. 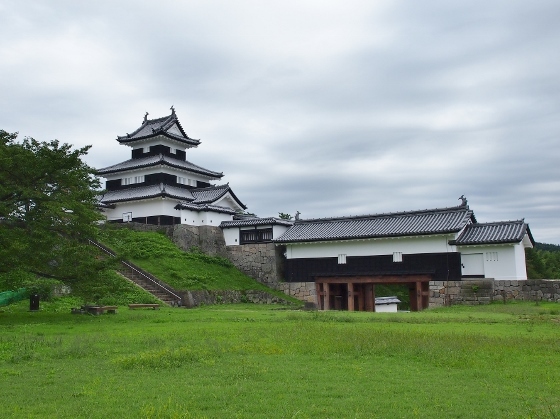 Kominejo Castle was first build in 1627. 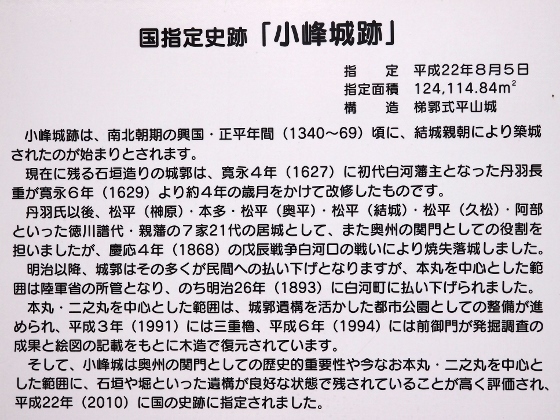 Since then, 21 different load occupied the castle until it was burnt down in 1868 during Boshin Civil War. 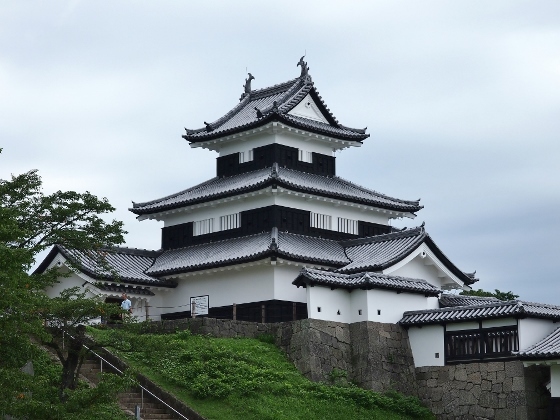 In 1991, the main three-story castle building was restored and the surrounding area was designated as National Historic Site in 2010. Pictures above show the current Kominejo Castle. It is simple and beautiful. The stone base is the same as before except that restoration work has been done for the damage by the 2011 earthquake. 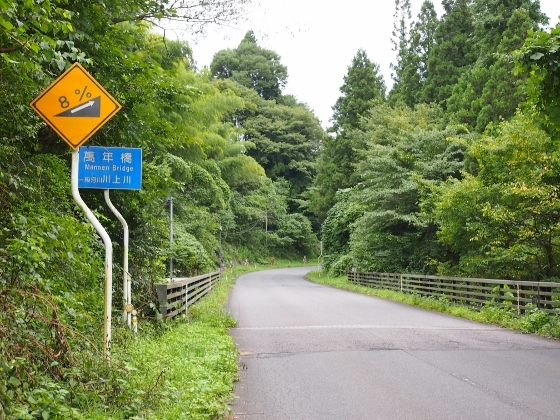 Then I headed toward Hanawa Town in the southeast. 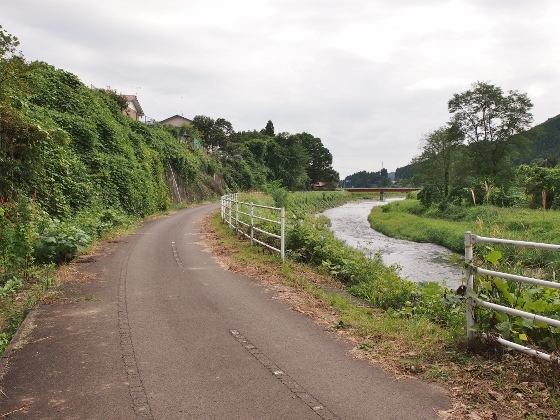 I pedaled along Kujigawa Cycling Road which starts from Tanakura Town and goes to Hanawa Town along the Kuji River as shown above. 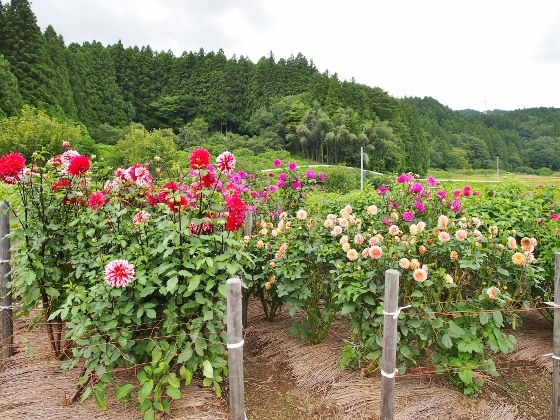 Dahlia Festival is now going on in Hanawa Town. 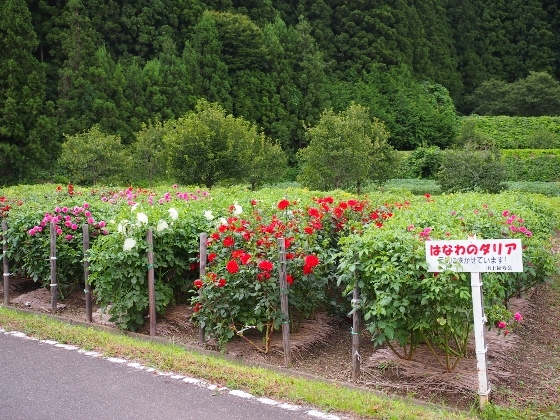 There are many Dahlia Gardens in the Town with colorful blooms. Most of them are small and medium scale ones such as shown above. They have been taken care of by local volunteers. 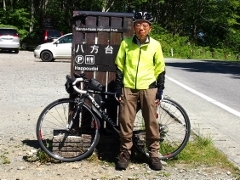 Hanawa Town has a hot spring resort called Yujimata Onsen. This is located about 12km apart from the center of the town and on the height of 550m. My final goal today was this place and I had to climb up the road such as shown above.